Did you notice? The Shakespeare Year is right around the corner. And I’m getting ready. This will be an intensely Elizabethan year for me. 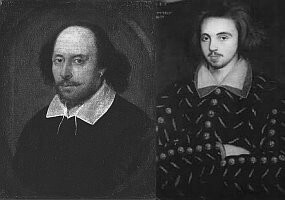 I’m going to blog about it – so be warned: lots of Shakespeare and Marlowe to come. And then there are, if all goes well, the Sonnets play, and a few others I have in various stages of readiness – including a radio drama – and another I want to write. And a school project involving A Midsummer Night’s Dream. So yes – as I said, this is going to be an intensely Elizabethan year. And believe me: you are going to hear about it. * Yes, we shall: I love the word. Elizabethan year…It sounds so exciting and interesting! I wait for everything you will write about it.